4 year-old twins Ava and Alexis McClure, a.k.a. Discovery Twins help Chazz Bethea, 14, at the bowling alley, who has cerebral palsy. The Polka Dot Project reality series is dedicated to developing experiences for children of all abilities. We hope to help erase the stigma attached to the “special needs.” population— to help children build compassion and understanding for each other, regardless of their differences. This series will help children build the necessary soft-skills that are critical for succeeding today’s world. 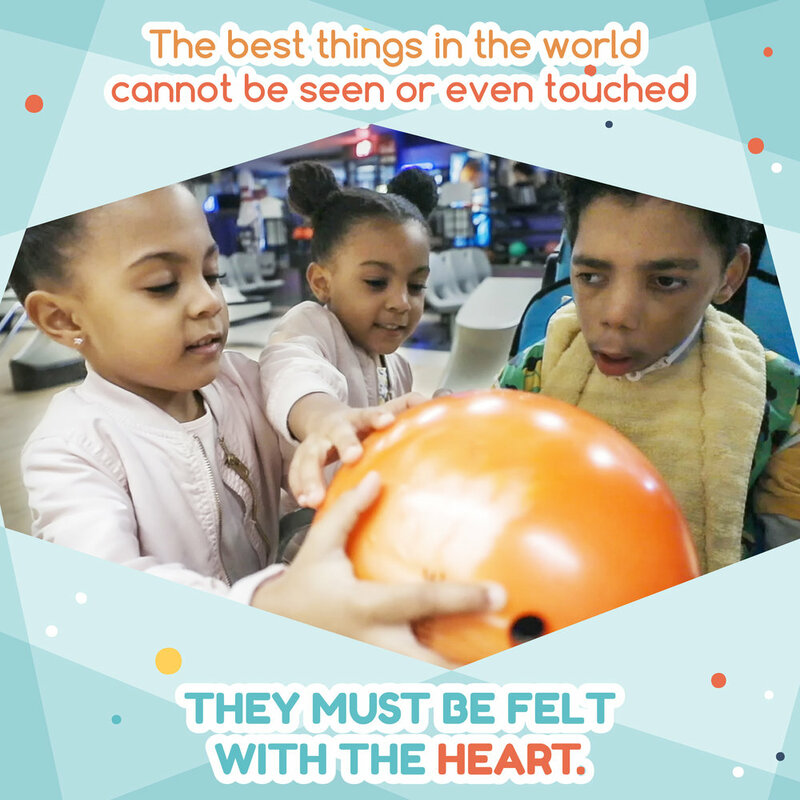 Our series will focus on typical children meeting and interacting with a special needs child or adult. Obvious differences will be discussed and explored. The children learn how to communicate, relate to and understand others who are different from themselves. Everyone will get involved in some type of project-based learning activity. Projects will be focused on learning goals, some standards-based content as well as soft-skills such as critical thinking, problem-solving, communication, collaboration, and self-management. Challenging Problem or Question - Each episode is framed by a meaningful problem to solve, a question to answer or a project to work on together. Asking Questions - The children will ask lots of questions, find resources, and apply information. Decision-Making - The children will decide how they will work together and what they will create. Reflecting - At the end of each episode everyone will reflect on what was learned, and how to overcome any obstacles that were encountered. Critiquing & Revising - The children will give, receive, and use feedback to improve their process, understanding and any products they may have created. Children getting involved in service-based project learning.